Kia Canada has kept the price of its 2018 Rio 5-Door the same as the outgoing 2017 model, but upped its cargo space and second-row room for passengers. The automaker has also made a heated steering wheel, heated front seats and a five-inch infotainment display and a rearview camera all standard for the 2018 Rio 5-Door. The entry level LX MT model, with a 1.6-litre, six-speed manual transmission, will start at $16,555, including delivery charge. Luggage capacity has increased by 68 litres to 493 litres — extra space achieved even though the Rio's rear overhang has been shortened by 15 mm to 655 mm. Rear leg room has increased to 850 mm, while shoulder room is now 1,375 mm in the front and 1,355 in the rear. The Rio 5-Door, arriving in showrooms now, will be available in six trim lines. The top-end 2018 Rio 5-Door EX Tech Navi, with the same engine and transmission as the LX MT, starts at $25,395, including delivery charge. The automaker is targeting college students and their safety-conscious parents with optional autonomous emergency braking, Apple CarPlay or Android Auto connectivity systems and 32 per cent more advanced high-strength steel. 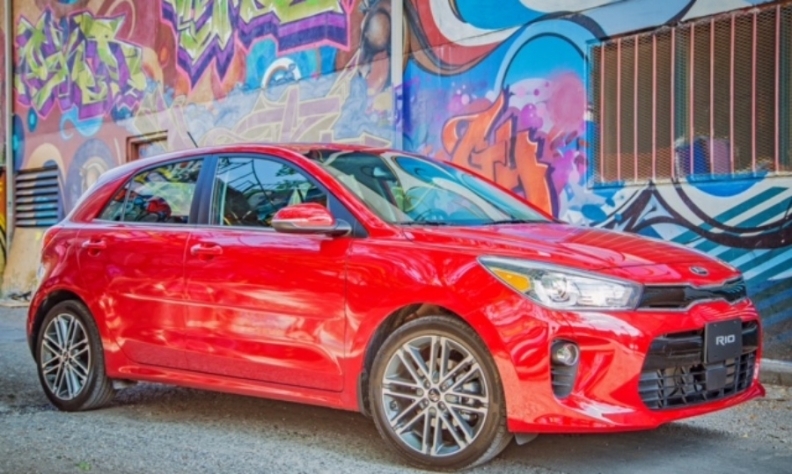 “For parents looking for a car to send their children off to university; the increased usage of high-strength steel, available telematics and autonomous emergency braking provide additional safety and peace of mind,” Kia Canada COO Ted Lancaster said in a statement. The 2018 Rio 5-Door made its Canadian debut at the Montreal International Auto Show in January. Combined sales of the four- and five-door versions of the Kia Rio were 7,636 units in 2016, down 22 per cent from 2015. Through July 2017, the automaker has sold 2,534 units, down 51 per cent over last year.